When Mahendra Singh Dhoni — a brilliant finisher of the game — was not performing recently many commented that the finisher was finished. 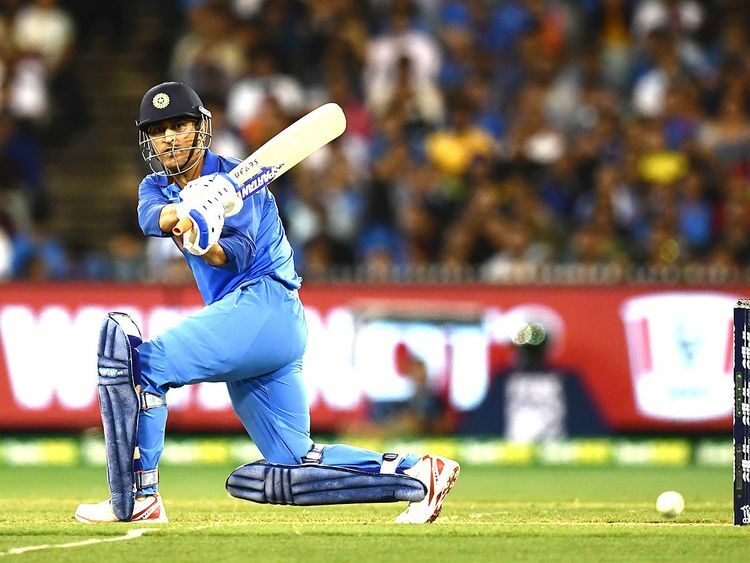 Thirty-seven-year-old Dhoni, by steering India to their first ever historic One-day series win in Australia, has announced that all the idle talk about his age and his waning abilities are a waste of time. Team India coach Ravi Shastri has remarked that players like Dhoni emerge once in 30 or 40 years. Dhoni’s contribution to Indian cricket is unique. His role in lifting Indian cricket to the pinnacle of glory will remain as a golden chapter in India’s cricket history. As a captain, no cricketer in the world has managed to guide his country to the No. 1 position in the world ranking as well as Twenty20 and 50-over World Cup triumphs. And now, when everyone said that he was finished, he steered India to another triumph in Australia with two successive half-centuries. Dhoni’s big advantage is his ability to focus on achieving his goal without being affected by what is said about him. The calmness with which he goes about creating glorious moments is a trait that every youngster should hope to imbibe from him. One rarely spots Dhoni doing a thumbs-up or dancing with joy on reaching a personal landmark or after guiding his team to a historic win. His expression suggests that it was bound to happen at some point. Right now, his goal is to be a match-winner of the 2019 World Cup and he is steadily moving towards that. Very few can encourage a competitor for his slot in the team, but Dhoni hasn’t hesitated to boost young wicketkeeper-batsman Rishabh Pant’s confidence. Only legends have such faith in their own abilities. Nobody expected Dhoni to retire from Test cricket, but Dhoni knew that he had to do it to be fit for the 2019 World Cup. Despite playing 90 Test matches, he resisted the temptation to play another 10 more to make it a century of Test matches. Dhoni would not have hung on to play one-day matches but for his belief that he can still deliver and win matches for India. Dhoni also knows that Indian fans are demanding and when they fail to win, he and his team will all be criticised. Some critics went to the extent of commenting that Dhoni is looking to continue making the moolah from the game — forgetting the fact that he had been the richest cricketer before Virat Kohli and had willingly given up India’s captaincy. His journey from a ticket inspector with Indian Railways to becoming India’s most successful cricket captain and match-winner was based on his vision to be the best. The same vision can win him laurels in the 2019 World Cup as well. Indian cricket’s best ‘finisher’ may thus finish his career in splendour.